World Aids Day Rally at Marina Beach, Chennai. World Aids Day is about recognizing the worldwide problem of Aids & infection. Indian Development Foundation in collaboration with various networking partners/ schools/ corporate team organized a World AIDS Awareness 2013 Rally at Marina Beach, Chennai. Students from National Cadet Corps, CSI Rainy School of Nursing, Ethiraj College, Kendriya Vidyalaya No.2, Tambaram, Leo Matriculation School, SBOA School & Jr. College, Sivanthi Matriculation School. Volunteers from Standard Chartered, Bisleri & supporters from Gremaltes Hospital and other NGOs also participated. iGate sets up library in schools in Malvani, Mumbai. iGate, Mumbai in collaboration with Indian Development Foundation as a part of their CSR activity contributed in setting up library in schools in Malvani, Malad (W). iGATE is a provider of IT services & business solutions to companies across the Americas, Europe- Middle East-Africa (EMEA) and Asia-Pacific. iGate employees from centers around Mumbai pooled their contribution to collect books and set up library in two schools viz; Holy Mother English School and Gurukul English School in Malvani. The employees collected books viz; story books, self help books, encyclopedias, autobiographies - biographies et al. The books were in three languages English, Hindi & Marathi and Some were obatined from Pratham books. School Principals Mr. Ganesh Bharyawala and Mr. Farid Shaikh complimented & appreciated the efforts of iGate & IDF for their efforts in development of the schools and students. IDF appreciates the Social responsibility of the iGate and congratulate Ms. Manjari Thakur and team iGate for their successful Books donation drive. 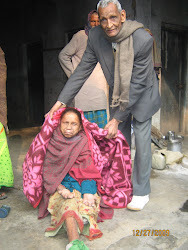 The "Cover of Compassion - Blankets Distribution Drive" at Chhapra District in Bihar was done on 29th November. IDF Social Ambassador Mr. Thomas along with his team from Kust Niwaran Society (Patna) went to the Chhapra and distributed blankets. We will be covering other deserving individuals very soon. For other regions many have already received and other will be receiving soon. All these have been possible because of the wonderful support we received from our friends. Indian Development Foundation continues the dissemination of Scientific knowledge. Indian Development Foundation is a leading national NGO working for Health, Education & Development in association with Janyaa an NGO which focuses on developing creative problem solving skills among students organized an inter-school Maths & Science workshop for teachers in Bharatmata School, Malvani, Malad (W) on 27th November 2013. The workshop was meant for Maths & Science teachers of 6th to 9th Standard. Teachers were explained the Mathematical & Scientific concepts by Prof. Prajesh Trotsky with the assistance of the Maths & Science kit, practical experiments and equipments. The workshop was conducted with a view to ingrain the concepts of Maths & Science and the entice interest among students for the same. The teachers would repeat all those experiments in their respective schools which would enable the students to understand the concepts and ultimately supplement their regular teaching. Rotarian Sana Rupani, Chief Guest for the Program congratulated on the implementation of the workshop and appreciated Janyaa President, Ms. Venupriya Nadella IDF CEO, Dr. Narayan Iyer & IDF Education Ambassador Mrs. Rekha Bajaj for their efforts in developing the creative problem solving skills & Scientific temper among the students. 50 schools from Kandivli-Malad-Goregaon area participated in the school and received the kits for the implementation of the programme. Volunteers from Vivek College, Goregaon & UPG College, Vile Parle assisted in the implementation of the programme. 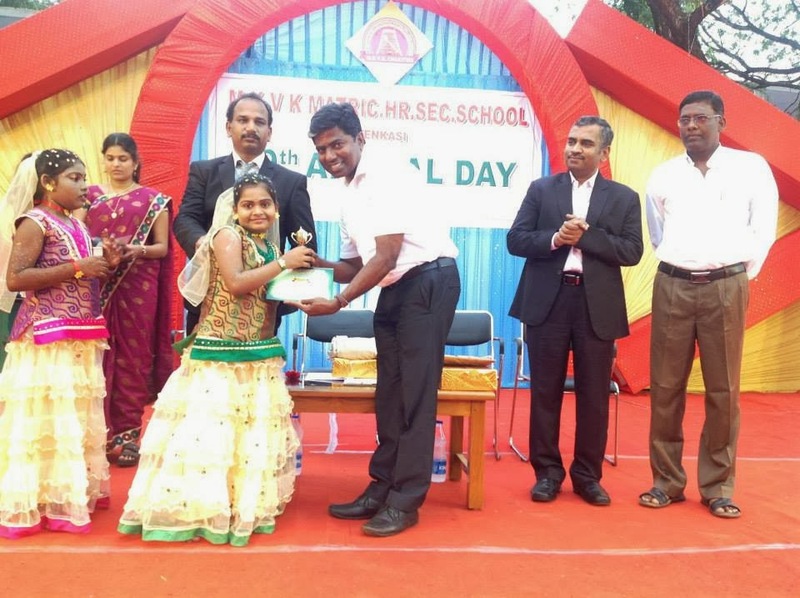 Indian Development Foundation distributed prizes at RSK Hr. Sec. School, Trichy. Dr. Sam Deva Asir was the chief guest and he honoured the students for their contribution to the IDF social initiatives. He also spoke about the moral values and IDF work in the community. Mr. S. Sreeram, IDF Manager thanked the students, parents, teachers, and the Principal Mr. Chacko and the Vice principal Mr. Surender for their continued support to the mission of IDF. IDF appreciates the efforts of RSK Hr. Sec. School, Trichy!!! Indian Development Foundation: Safe Roads for Our future citizens-Road safety training for school children. Indian Development foundation (IDF) in collaboration with Road safety club (Hyderabad) organized a road safety training in Sanskriti The School, Kothapet, Dilsukhnagar on 21st Nov 2013 for school children as an initiative to educate the public towards accident free India. The programme was conducted by Dr.P.Srinivas, Motor Vehicle Inspector , Andhra Pradesh, and Dr. Geetanjali, Pediatrican , Rainbow Hospital, Hyderabad.Dr.Nikhil, Mrs.Swati , Mrs.Rama IDF Social Ambassadors , Mr.Shekar and Mr.Bipin from Road Safety Club attended and helped in coordinating the programme. Indian Development Foundation and Road safety club invited all to be a part of it …..to be a pillar to build a nation with safe roads. Road traffic accidents are one of the most important causes of ‘accidental' cause of death in children.Road Traffic Accidents are man made mistakes. Every year around 1,40,000 are being killed and around 5, 00,000 are getting injured in India due to road accidents children are oblivious to the danger around them. Curiosity, short stature, ignorance regarding road safety makes them even more vulnerable. The risk increases as children reach school age and have more independence and allowed to walk to school, cycle, visit friends or play in the premises. UN Decade of Action for Road Safety: The UN Road Safety Collaboration has developed a Global Plan for the Decade of Action for Road Safety 2011-2020. Event objective was to inform children and teachers on "What can you do?" o Your mere presence as representative of Road Safety Club will make children “THINK ROAD SAFETY”. 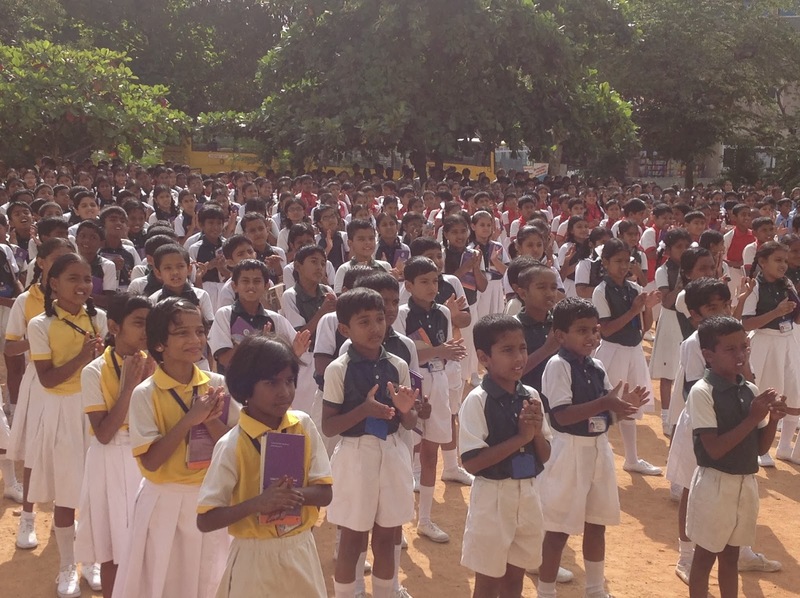 o You can participate in interacting with children in learning road safety through activities. o For those who are not in the field of road safety; it is a great way to learn road safety tips from the experts and spread the message to the community and the loved ones at home. o Prepare yourself to be a future trainer to advocate road safety. The school management , teachers and students appreciated IDF for arranging this programme and create awareness on Road Safety which has become very important for all. Indian Development Foundation (IDF) in association with Janyaa Foundation distributed (free of cost), maths & science practical kits to 30 schools in Jaipur.One of the important objective of the Education is to make students handy with ability to solve problems of their and other’s life. With regards to develop the same Indian Development Foundation (IDF), in association with Janyaa Foundation- an NGO dedicated to develop creative problem solving skills in kids; organized an interschool training session for 6th to 10th standard on 21st November, 2013 at TPS, Shastri Nagar. The session was mainly concentrated on the scientific aspects of the academics of the students.Mr. P.D.Singh, Director, Tagore Group of Institutions graced the event with his presence. Mr. Kovid Oli(Project Coordinator) and Mr. Simon Peter(VDO), IDF organized the event, and Mr.Surendra Kumar, Chief coordinator, Janyaa Foundation conducted the workshop. The workshop was attended by 60 teachers from 30 schools of Jaipur. 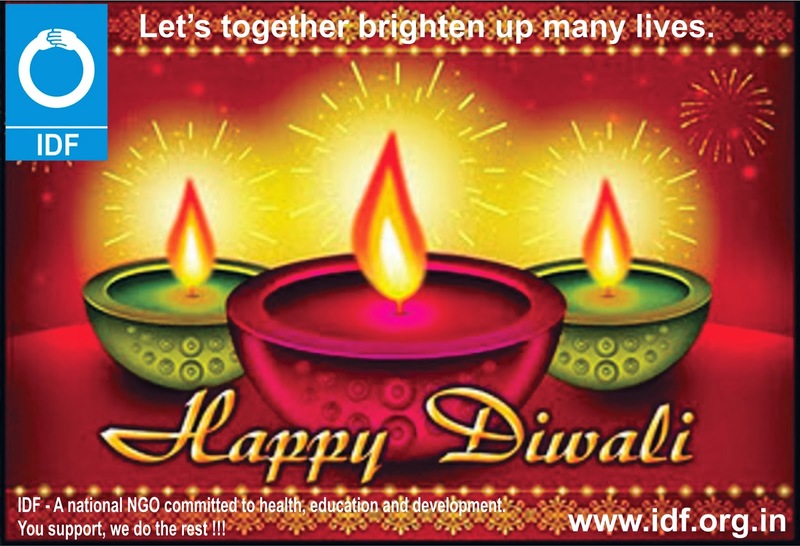 Indian Development Foundation has been selected as an NGO partner for the Rural Electrification Project through Solar Lamps. 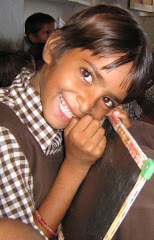 The dream project is initiated by Harivanshrai Bachchan Trust and Urja Foundation. The project was announced by Shri Amitabh Bachchan on his 71st Birthday and officially launched on 19th Nov. 2013 at Mumbai. Shri Amitabh Bachchan presented a memento of appreciation from HBT and Urja Foundation to Dr. ARK Pillai, founder President, Indian Development Foundation for his leprosy eradication efforts in India. He was greatly impressed and touched by Dr. Pillai's humanitarian work for over 4 decades. Dr. Narayan Iyer, CEO, IDF presented Dr. Pillai's biography `Hope on the Horizon' and congratulated the Legend for the dream project in powering rural India with solar lamps. IDF through its networking partners will take up the task of providing solar lamps in rural areas which are off-grid. Seeking your blessings as we march on the path of providing light and happiness all around. 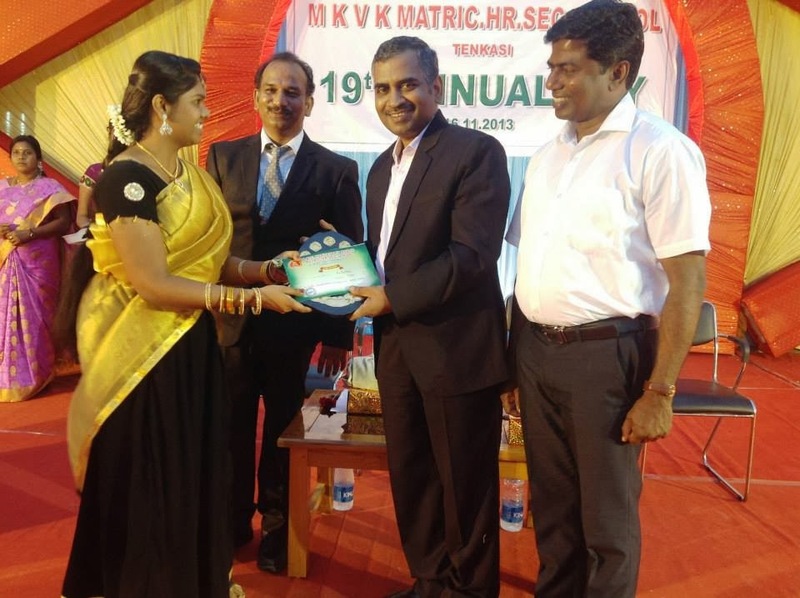 MKVK Matriculation Higher Secondary School @ Tenkasi, Tamil Nadu celebrated their 19th Annual Day celebrations and honoured IDF team for the excellent humanitarian work. Dr. Narayan Iyer, CEO, IDF was the Chief Guest and Dr. S. Franklin, CE, IDF was the Guest of Honour. Mr. S.Sreeram and Mr. S. Arumainayagam from IDF also participated in the event. The schoolteam presented the donations mobilized by the students for leprosy/TB and education cause. Team IDF felt extremely happy to be part of the gala event and were happy to honour students from class KG to XII. 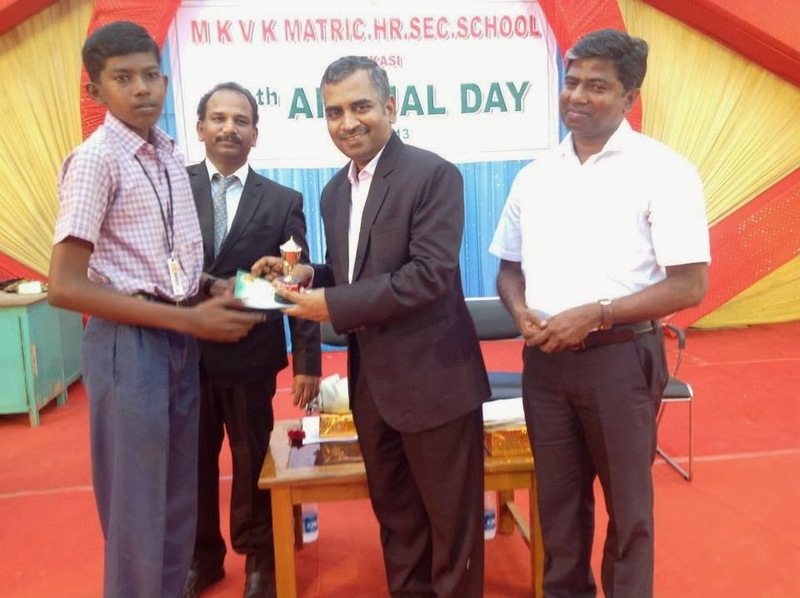 Team IDF thanked Dr. G. Balamurugan, Correspondent, Mr. J. Anthony Paulraj, Principal and all the teachers, students and their parents for the constant support. 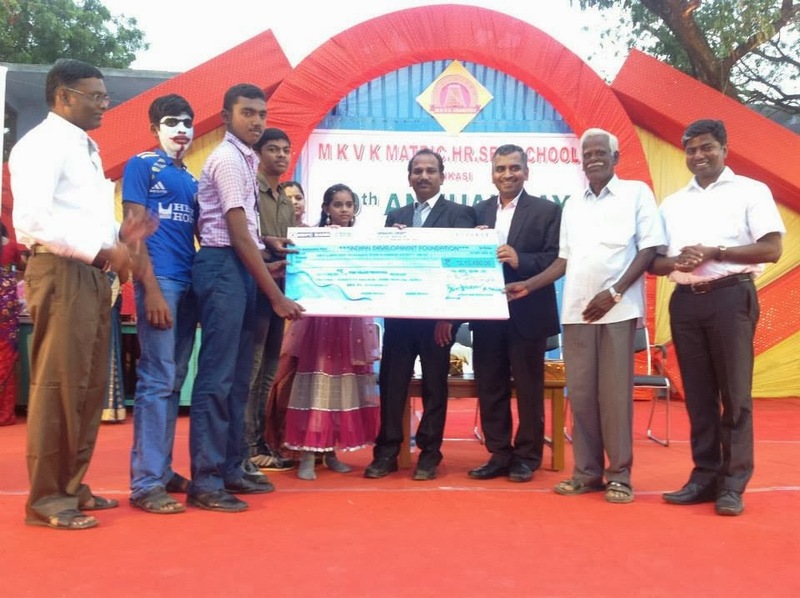 Salutations to MKVK School for their generous support. On Children’s Day 2013, Dr. Devi Prasad Shetty, The Cardiac Surgeon and founder of Narayana Hrudayalaya, was presented with IDF Karmayogi Award 2013 for his exemplary services in health care. “What a memorable & fitting gift to receive on the Children’s day from the hands of IDF Bal Gurukul children!” exclaimed Dr. Devi Shetty on receiving the IDF Karmayogi Award 2013. Dr. Shetty said, “I am overwhelmed and touched by the young minds and hearts of the nation”. Dr. Narayan B. Iyer (CEO), Dr. Franklin (CE) Mr. C.A. Mathew and team from IDF and a group of 25 children from Sri Ayyappan Bal Gurukul, led by the Principal, Mr. A. G. Prakash and Teacher Mrs. Amala felt extremely happy in celebrating the Children’s day with the Karmayogi of India. Rev. Sr. Bertilla Capra, leading Leprosy worker from Mumbai (2012). Indian Development Foundation in association with St. Xaviers Rural Health care & support center, Varatharajapuram, Namakkal organized a Children's day Function at the Govt. Girls Hr. Sec. School, Namakkal. 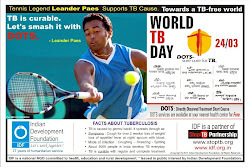 IDF and the St. Xaviers Health center made students aware about the T.B. disease and distributed gifts among the students. on account of the function staff from IDF & St. Xaviers were present at the school. Students from Sanskriti - The School from Hyderabad visited Vimala Centre, a leprosy hospital in Versova, Mumbai as a part of their social exchange on the eve of Children's Day (13-11-13). 40 students from Std. 7, 8, 9 led by Headmistress Mrs. S. Swati were on an excursion to Mumbai. Our school thought of including a social project in this excursion as it would help students to sensitize on social issues, said Mrs. Swati. Dr. Narayan Iyer, CEO, IDF received the school team and explained the work of IDF and took them round the male-wards and female-wards. Rev. Sr. Bertilla, Director, Vimala Centre spoke on the various activities of the Centre. Children went round the centre and greeted all the inmates with a compassionate feeling. IDF appreciates the efforts of the school and their social concern. Thanks to Sr. Bertilla, Sr. Sisily and Mr. Nasrulla Adamji for providing necessary assistance. Padma Shri Dr. H. Sudarshan, Hon. Sec. VGKK -- BR Hills and Trustee of Indian Development Foundation was speaking as the Guest at the IDF Grants/ Awards Function held at Bharatiya Vidya Bhavan Auditorium, Bangalore on 23rd October 2013. Dr. H. Sudarshan complimented IDF's role in promoting enthusiasm, empathy, commitment & sensitivity among every citizen for building a better civil society. Indian Development Foundation is proud to partner with Asian Christian High School, Hosur for Health- Education- Development prog. The Student from the school has constantly supported the prog. 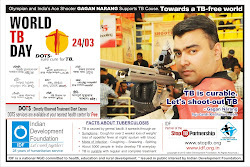 of IDF by creating awareness and in resource generation prog. 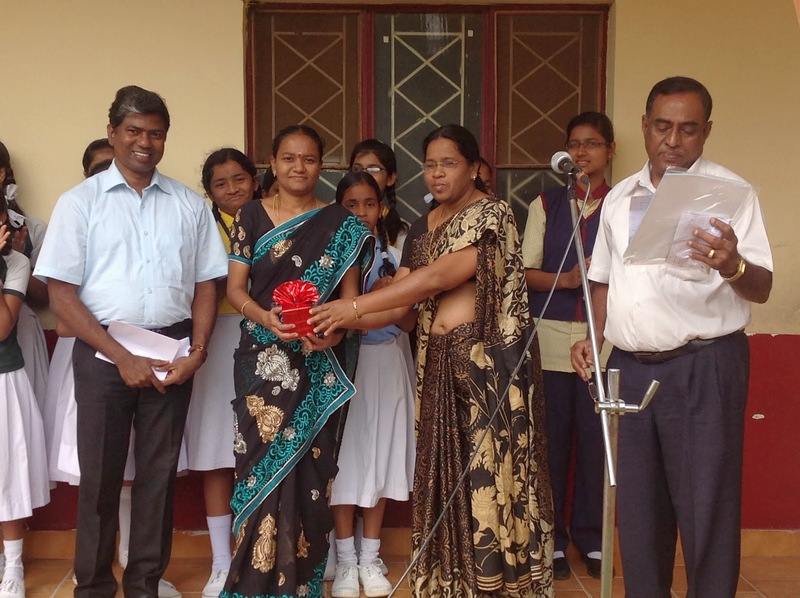 IDF distributed prizes to the students & teachers who aided the organization in their initiatives. IDF CE, Dr. Franklin appreciated the school and said, "We see a mark of excellence in everything you do and we remain thankful to you and your entire school team for partnering with IDF towards realizing the cherished dream of a developed India." IDF salutes the Students for their Social Concern towards Society!!! Dr. A.P. Jayaraman, Sr. Nuclear Scientist felicitated Dr. V. Shanta on being bestowed with Mother Teresa Memorial Award 2013. The Award was instituted by Indian Development Foundation. 25-10-2013 @ MSSRF, Taramani, Chennai. IDF CSR Award 2013 to Indian Overseas Bank. 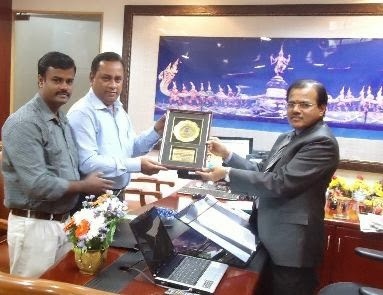 Mr. M. Narendra, CMD, IOB received IDF CSR Award 2013 for excellent support extended for TB Awareness during World TB Day 2013. Thanking IOB's wonderful social initiative, Mr. S. Sreeram, Manager, IDF and Mr. Navaneethakrishnan, Admn. Officer, IDF presented the award on 04-11-2013. Mr. M. Narendra appreciated the humanitarian work of IDF. Indian Development Foundation honoured Dr. V. Shanta with the Mother Teresa Memorial Award 2013. The award, which included a statue of Mother Teresa, shawl and citation, was presented by Dr. M.S. Swaminathan, Founder Chairman of M.S. Swaminathan Research Foundation. He said, "The Ramon Magsaysay [Award Foundation] recognised her for her compassion and humanism. Her presence is a source of inspiration and guidance." 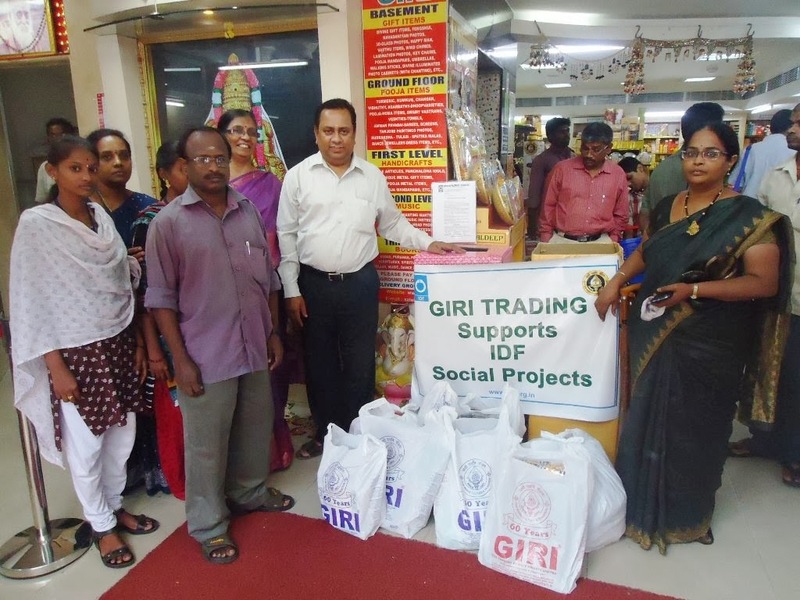 The staff members of Giri Trading at Mylapore, Chennai contributed their mite and also appealed to their valuable customers to contribute for leprosy projects and IDF Bal Gurukuls and brighten up many lives this DIWALI. Our special thanks to Madam Sharada Prakash, Director of Giri Trading for motivating the team for a noble cause and a good wishes for Diwali. 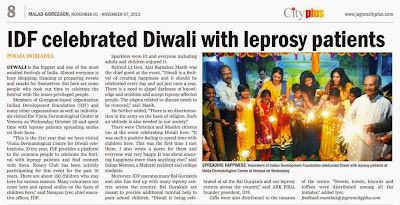 Diwali Celebration- Annam Methipara Bal Gurukul, Chennai. 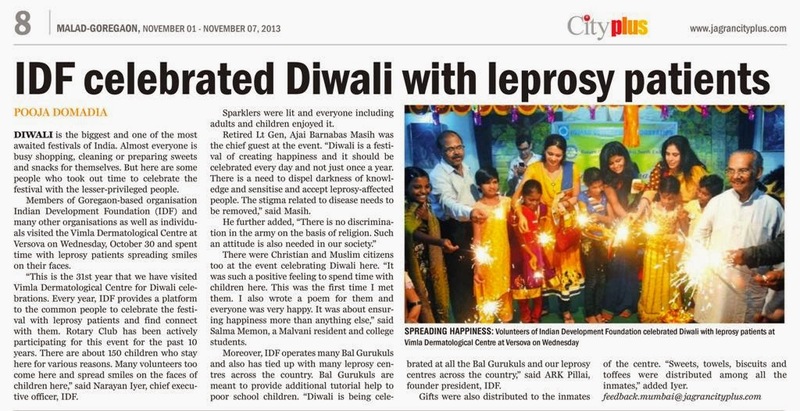 Indian Development Foundation Celebrates Diwali Festival with the students of Annam Methipara Bal Gurukul. Chennai. The students were distributed food items, Sparkles & gifts. The students lighted Diyas and celebrated the festival of light & Joy. Our special Thanks to social ambassadors Mr. Anil Kumar and family, Mrs. Sivakamakshi and Mrs. Sriranjini Ajay. IDF wishes a happy and prosperous Diwali to all. IDF Appreciates the social concern of the Jagran City Plus.